I am trying to propagate succulent leaves for the first time and have a question regarding rooting hormone. 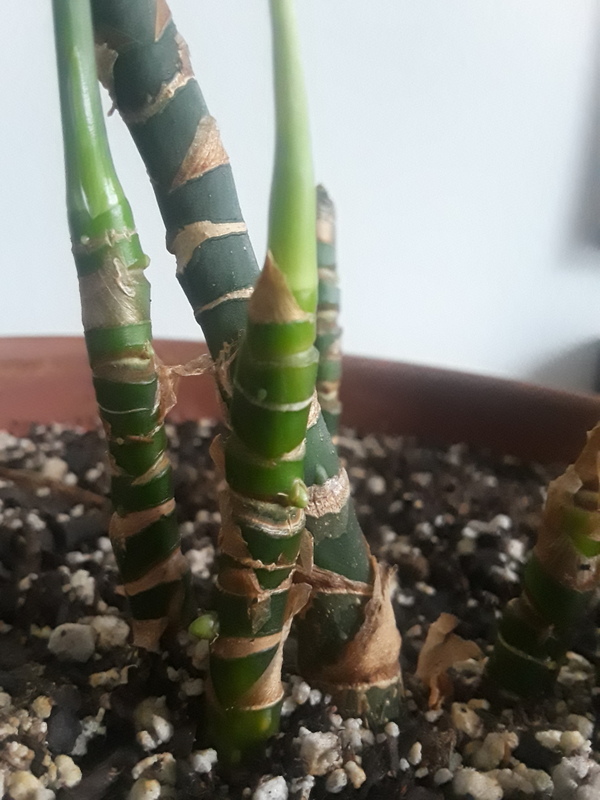 I have the leaves off of the plant and dried them out for a few days in an attempt to callus the ends over but they're looking kind of sad. Is it too late for me to try rooting hormone? I realize that they obviously aren't going to have grown roots by now (it's been about a week since I started the propagation process) but I would like to give rooting hormone a shot it if it's not too late in the process to use it. Pei I don't suggest to use rooting hormone on succulents tbh. Succulents are honestly relatively easy to propagate. However it does not always mean 100% success rate. It’s always best to take multiple cuttings at the time of propagation, and most importantly be patient. if you let it callus over and it's not looking the great meaning it won't work and rooting hormone won't help too. Hi All! 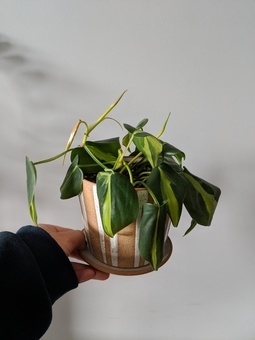 I recently propagated some philodendron clipping and transplanted them into a nice little planter. Some of the leaves are feeling kind of flimsy and curling a bit, but there's still new growth coming in regardless. I've been watering it every weekend just a bit, is it possible it's either under or overwatering? Any help is appreciated! PlntNrd It definitely looks like it needs more water. When propagating most plants, you need to keep them constantly moist. I often water well and then place in a ziplock bag when propagating. That ensures lost of humidity and prevents the soil from completely drying out. I have a small greenhouse with a bunch of lights, but if you pick a spots with bright indirect light, that should be sufficient. You don’t have to use the plastic bag method, but you should keep the soil from completely drying out when propagating. They plant is trying to put out new roots and needs to keep hydrated, otherwise they just dry up. You can also tell by the leaves on your Brasil Philo that it needs more moisture. 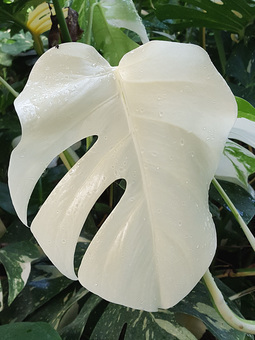 When philodendrons are they thirsty, they tend to curl under and feel/appear flimsy, like you’re seeing. Kirsten Thompson Hi Clarissa! A couple questions: Have you noticed any yellowing of any of the leaves, despite the new growth? Also, do you have it placed in bright/direct sunlight? You can definitely adjust the watering schedule to see how that helps - maybe go 10 days or so, sticking your finger in the soil to make sure the top inch + is dry, before watering again. 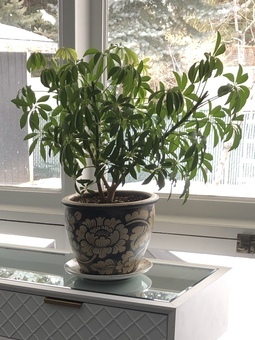 I had a hard time IDing this plant as it was a gift and it did well for the first few months but as it got quite cold almost all of the leafs fell off. I'm now left with mostly stems, two of which have a single leaf. 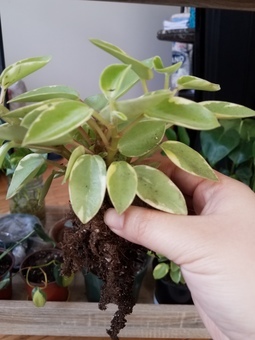 Do you have any tips for propagating this plant from stems or tips so that it creates more off shoots? Viridian E Update!! Its growing little nubs my guess is its going to be ok!! Stacey I actually almost killed mine once, it was in the front seat of our car on the floor between my son't feet when we were moving. I had to slam on the brakes to avoid a downed motorcycle, and the Dumb Cane stem was sheared in half when it slid under the dashboard. I was upset about losing the plant, and with hope I just stuck it into the pot when I got it home and it took root and is doing well to this day. You can just pop the stem into the soil! I've had this beauty for about four years now, and I'd really like to try my hand at propagating a new plant from a cutting. 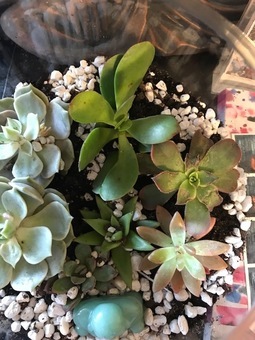 I've got propagation hormone powder and plan on propagating it in soil - my understanding is these don't do well with water propagation. 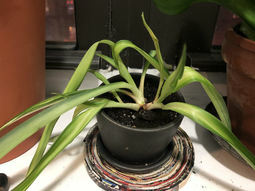 I'm wondering if anyone has some pointers or advice on how/where to take a clipping from the plant and any other tips on getting this to work successfully. Thanks in advance! Mari Many, many years ago I got a clipping off of one of these from my landlord, and I just plopped it in water, and away it went. I'm not sure it that helps, but it was my experience. I believe it was a bit of branch, though you could try to propagate one of the stalks to see if that works? 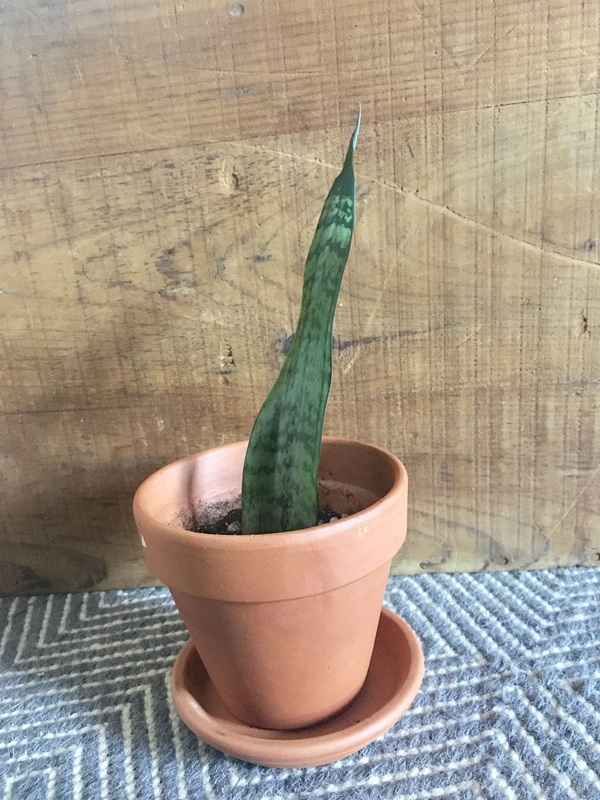 Hi I propagated my snake plant in August (cut a leaf and let it root in water). 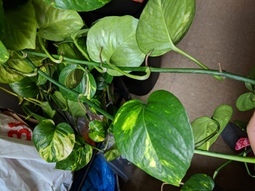 I have since planted it and can tell the roots are strong but no other leaves are growing. It just looks like a planted leaf. Any tips? This is a pothos jade (Epipremnum aureum) cutting I took almost 3 years ago permanently living in water. This cutting can no longer live in soil, but has been living happily in this vase for some time! Chelsea Can you explain to me why it can't live in soil anymore? Does it adapt to the water exclusively? Elana That’s so cool! My mom has a pothos cutting she’s had in water for ten years! 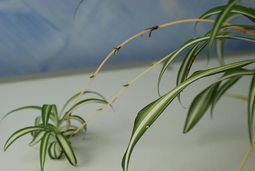 What's the best way to propagate spider plant offshoots/babies? In water or just putting them in soil? I just planted mine (with no roots) but I'm not sure if that's the best option! Can you propagate smaller plants from small plants? 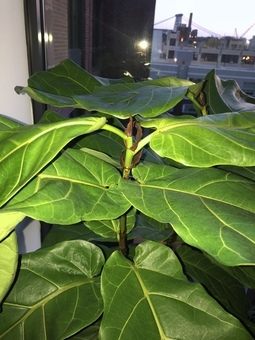 How do I propagate a fiddle leaf fig? Brooklyn This video will help, best visual explanation of how to propagate. Don't use a knife to cut the main stem like he did, not safe. Use proper shears for a clean cut. If you use the water method to propagate, change the water daily. My FLF is too short to start chopping it to propagate new pups, I need it a little taller for my desired look. Best of luck! Post an update, I'd love to see your results. Elana It’s a peperomia so it can be propagated from any part of the plant! Stick just a leaf or a leaf with a bit of stem in some soil and you’re good to go. How do they grow snake plants so fast? They are such slow growers... they must eventually run out, right? How do they propagate Venus Fly Traps? PlantMom Usually by seed or sometimes they can grow pups which can be divided from the mother plant. Paris Lalicata You can also propagate succulents by placing plastic wrap over a cup/jar filled with water, and stick the leaves so that they are just hovering over the water! Should start to root after several weeks! Elana Succulents are super easy to propagate! You can propagate from just a leaf and lay that on soil or you can behead one and just stick that in soil. PlantMom If you attempted to propagate the node this leaf is on, it would be unlikely that all of the leaves would be entirely white. If they were, it wouldn’t be able to survive because it would have no way to photosynthesize.